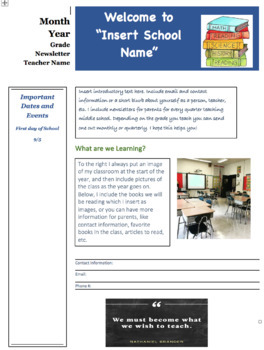 In this downloadable product, you will have access to my generated newsletter document. 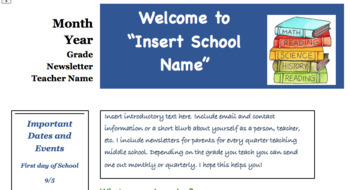 I created this to make it easier for teachers to input important information for parents without the hassle of designing their own newsletter page. Everything on this page can be edited and is compatible with Microsoft documents from 1997 to present. Please let me know if there are any issues with the document. I hope this helps teachers illustrate their classrooms in positive ways!